GLUTEN & DAIRY-FREE Freezer Meals Grocery List and Recipes! We made 32 freezer meals made in two hours for $8.50 per meal that's $120.00 total for each person. Also from now until January 15th both of my E-Books are on sale with code “NEWYEAR” at checkout. I know on the surface doing this sort of meal prep seems like it would be overwhelming, but it’s not. The trick for me is I break it down into three steps. Building the menu is the most difficult and time consuming, for me. I can totally relate to those who say “I just eat the same thing over and over again” because it’s easy. 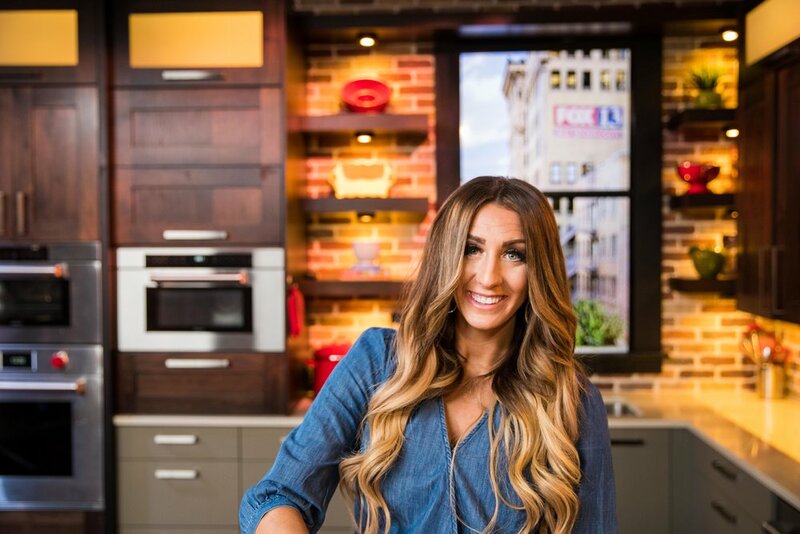 I get into those ruts as well and luckily for you guys, I have been working on these recipe ideas for a little while so if you think the meal sounds good, just use my recipes and make them is all. If there is one meal you don’t think you would like substitute it for one of my other freezer meals found in my E-Book. Once I have the shopping lists, I then go to my spice cupboard and canned goods, take inventory of what I have vs what I will need while prepping. For those items I don’t have in the house I add it to my cart in my Walmart Grocery pick up app. If I didn’t use an app I would write it down on my shopping list to pick up while I’m at the store. These recipes have 4-5 servings per recipe. If you aren’t feeding that many people in your home, you may want to consider and adjust the recipe/shopping list accordingly. First, pull out all the ingredients you are going to be using and put them on your table or counter top, so they are visible and easy to get to. I know this sounds unnecessary, but I suggest this to save you time. It gets real annoying to go back and forth to your cabinet to pull out the same spice over and over. Next, I pull out the Menu and Label all the bags with their correct name and lay them out on the table for easy access. Then I take out all my measuring cups and utensils I will need and set them where I will be using them. I will then go through the recipes and see which items need to be cooked. For example; chicken that needs to be cooked and shredded. I will start that in my instant pot or oven first. While I am doing that my friend that is helping would be getting the ingredients for the first meal all set out and in front of the other ingredients. Then, we will create a spot in the kitchen where we will assemble the bags (I use ziplock freezer bags) together. We then will go through each recipe one by one together and add ingredients to the bag. 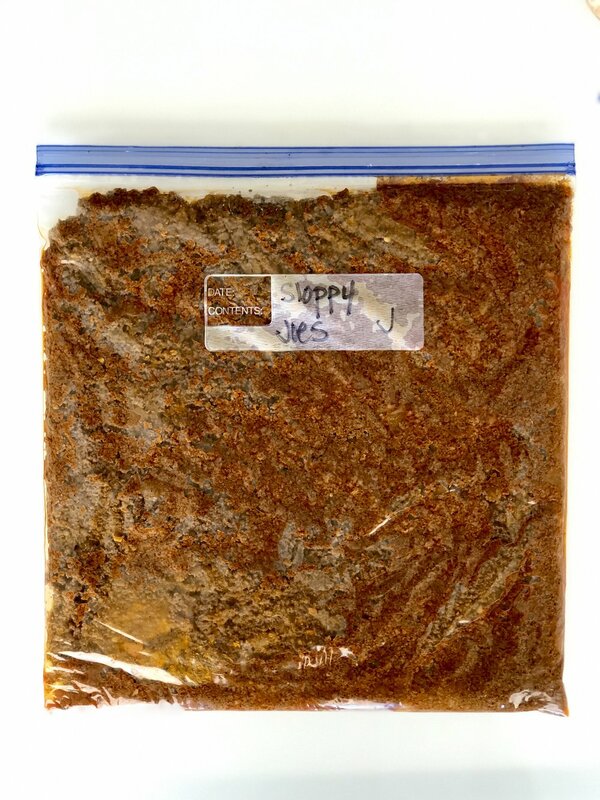 Once one recipe is prepared, we will seal the bag and move it to a different table. Which means that one recipe is complete and you’re ready to begin the next one in that same spot. I just repeat this same process until all the freezer meals are prepped and ready to go in the freezer. Last step and for me it’s a very important step. I will put everything back in its place, do all the dishes and clean the kitchen. I might be weird, but it brings me so much satisfaction knowing I have meals for the next month in the freezer and a clean kitchen I won’t have to clean later. Place all ingredients into freezer bag, still well. Cook in crock pot on low for 4-6 hours. Top with favorite chili toppings. 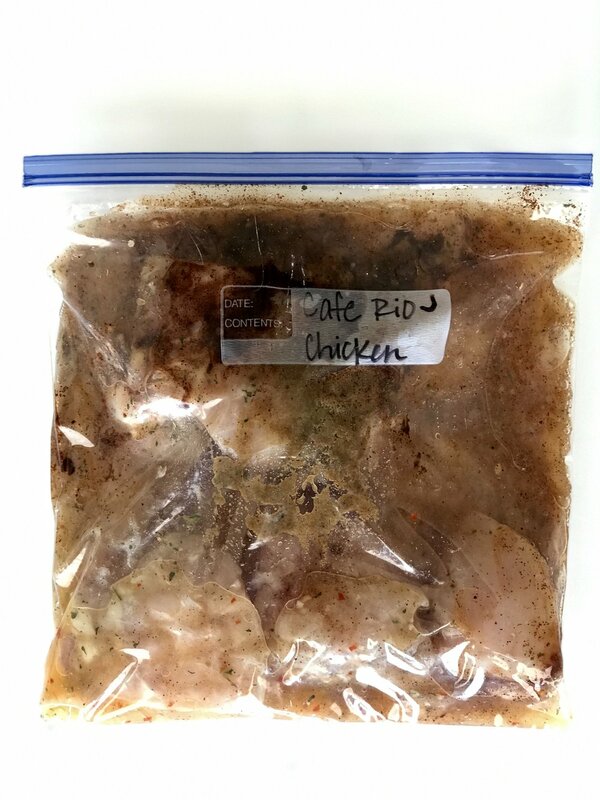 Combine all ingredients in freezer bag. Mix together well. Cook in crock on low for 4-6 hours. Serve with salad or tacos. Cook and Shred Chicken. Warm Gluten Free tortillas in microwave so they don’t crack. Combine Chicken and cheese into tortilla and roll into pan. Top with enchilada sauce and cheese. 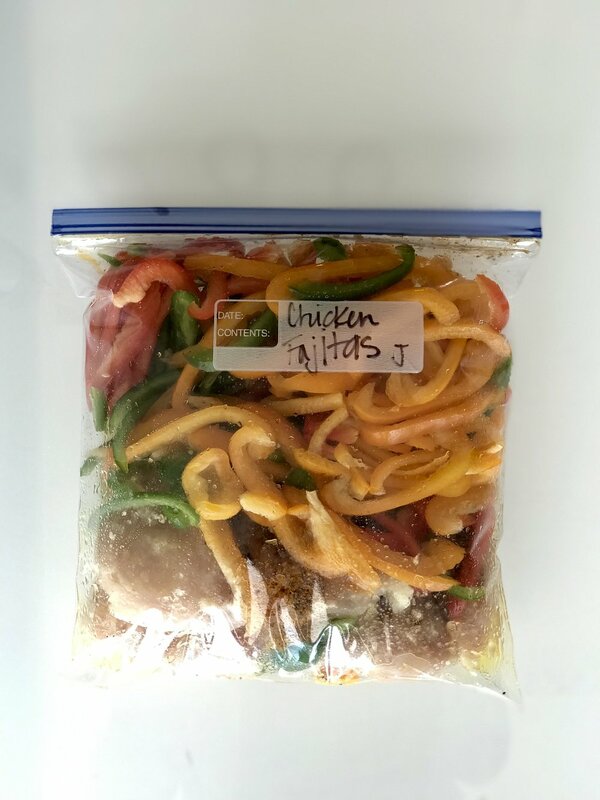 Combine all ingredients into freezer bag. 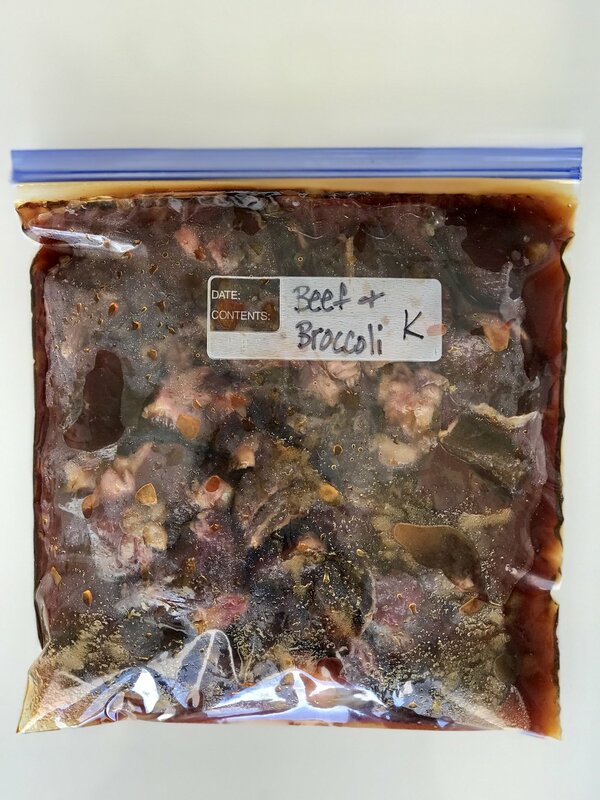 Defrost bag and sauté meat and veggies into pan and serve with tortillas. 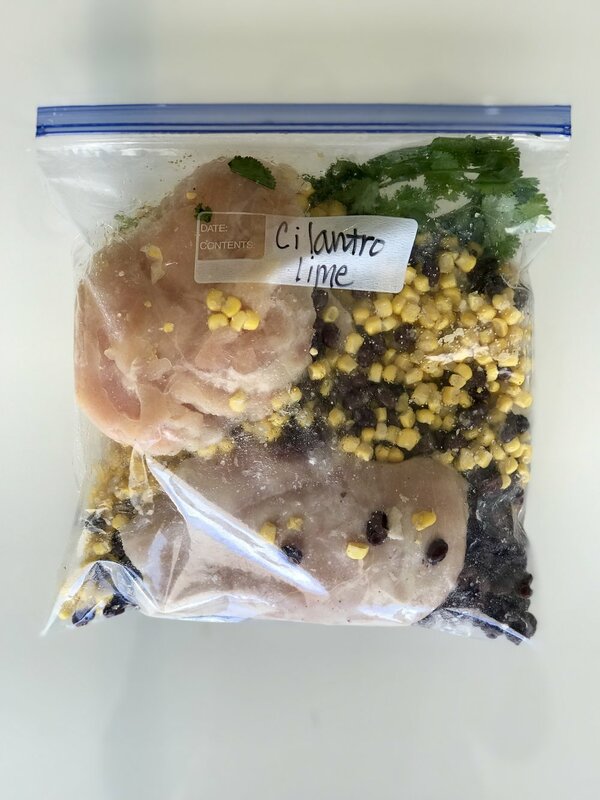 Combine all ingredients into freezer bag. Cook on low for 4-6 hours. 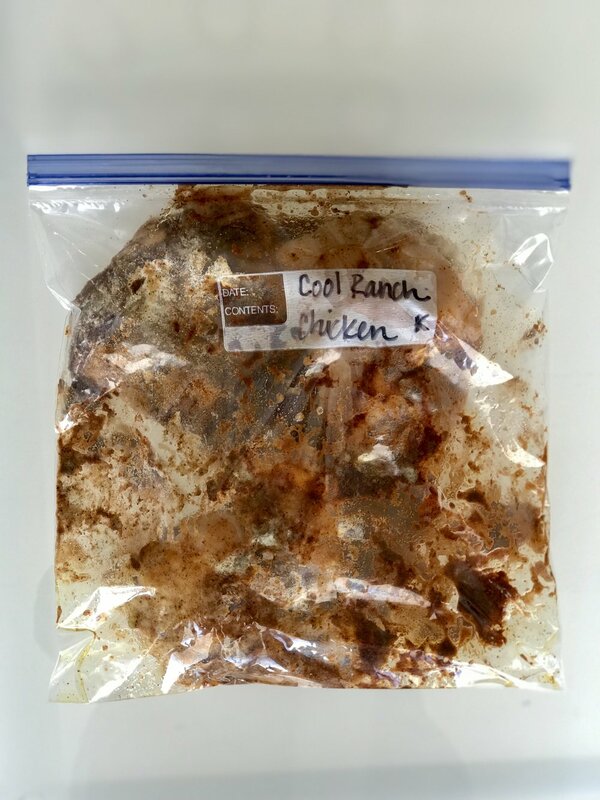 Shred chicken and use for sandwiches or salad. Combine all ingredients into a loaf and set into pan. Wrap in sedan wrap and then tin foil. When ready to cook take out and cook at 350 for for an hour or until meat thermometer reaches 160. 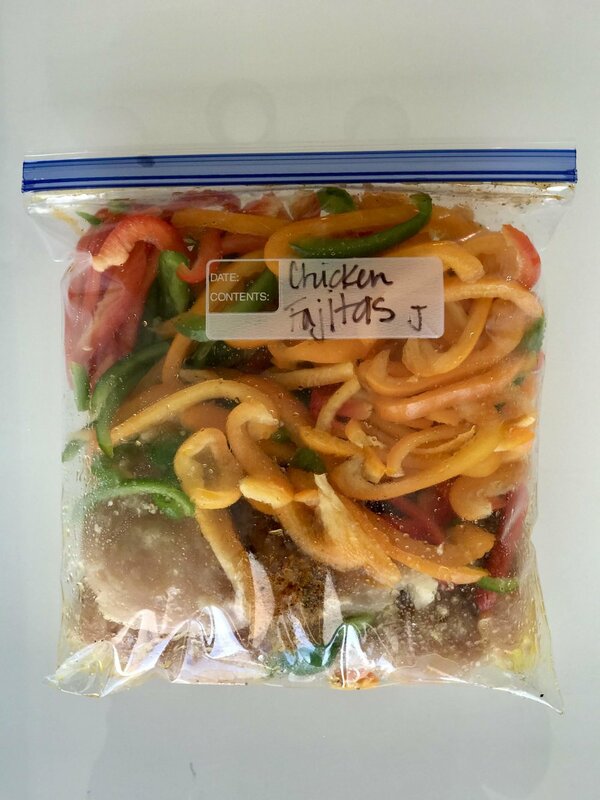 Combine all ingredients together into freezer bag and cook on low for 4-6 hours. 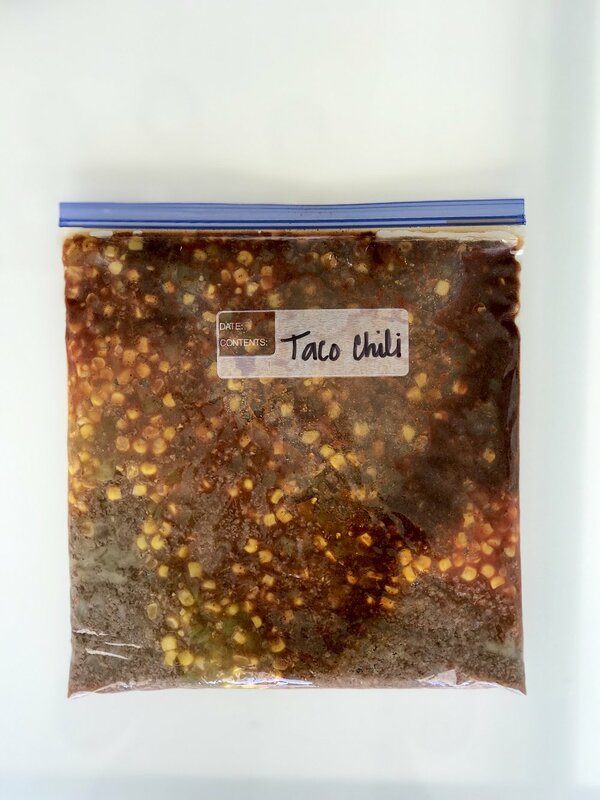 Combine all ingredients into freezer bag. Cook on low for 4-6 hours. Remove roast and shred. Serve with toasted hoagies and sautéed peppers and onions and cheese optional. Dip in remaining sauce. 4 chicken breasts cooked and shredded. 6 cups of cheddar cheese grated. Mix together all ingredients into bowl except the cheese. Divide into four pans, then top each with cheddar cheese. Bake at 350 for about 45 min or until everything is cooked through. Place in crock pot on low for 4-6 hours. Serve with tacos or as a taco salad. Sauté the onion and meat until brown. Stir in the rest of the ingredients. Simmer until liquid is gone, about 15 min. Let cool then divide into 4 freezer bags. Defrost and warm in skillet. Serve with warm buns. Add frozen into instant pot add 1/4 cup of water and cook for 20 min on high pressure then do a quick release. Remove steaks whisk in small bowl 1/4 cup of corn starch with 1/2 cup water. Turn pot to auto and more mixture with remaining liquid the gravy will start to thicken, the the steak back to the pot.